Edge Coloring | AccuColor Plus, Inc. Colors are chosen from the Pantone Solid Uncoated, Neon or Metallic swatch books. The dyes used for edge coloring do not have a Pantone license, so there is no set formula for color mixing. All edge coloring colors are mixed by eye, therefore only an 85% to 90% color match can be achieved. 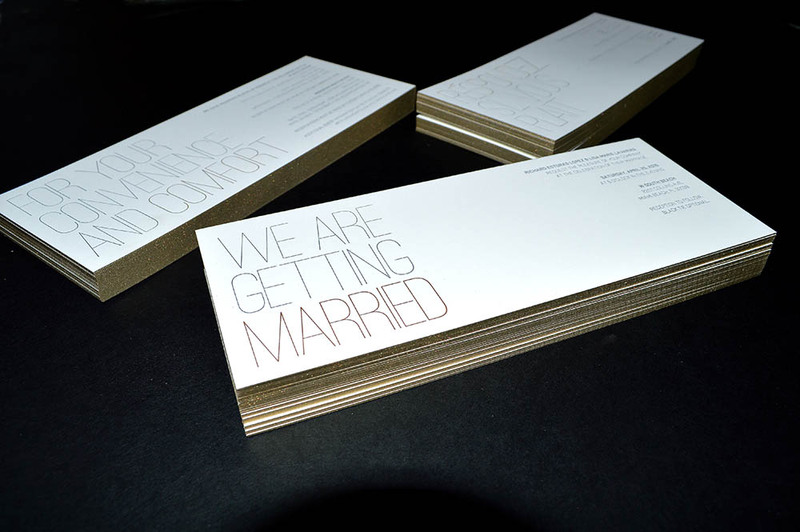 Our metallic edge coloring is very nice, but it is not gilding or a foil. 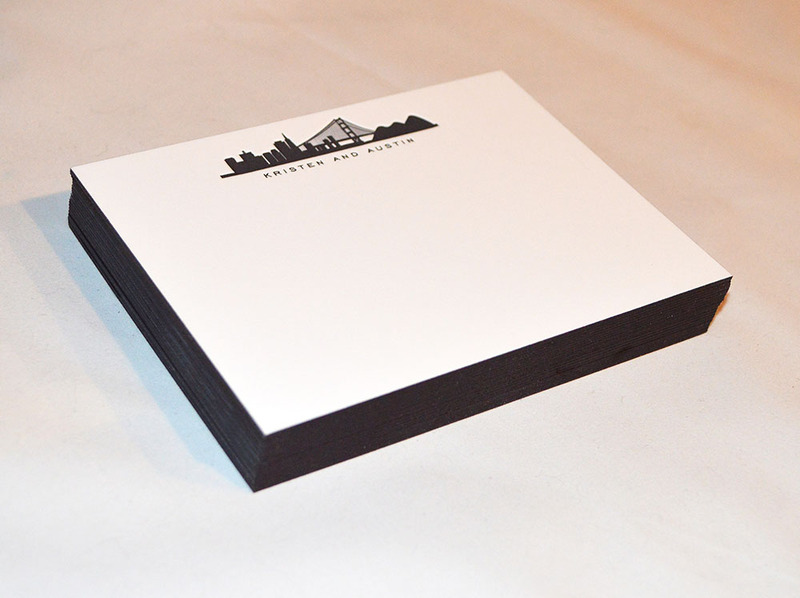 The edge color will have a different hue and color cast on different paper colors. It is not recommended to edge color different paper colors in the same project with the same edge color. Thicker cards show off the edge coloring better than a thinner card will. 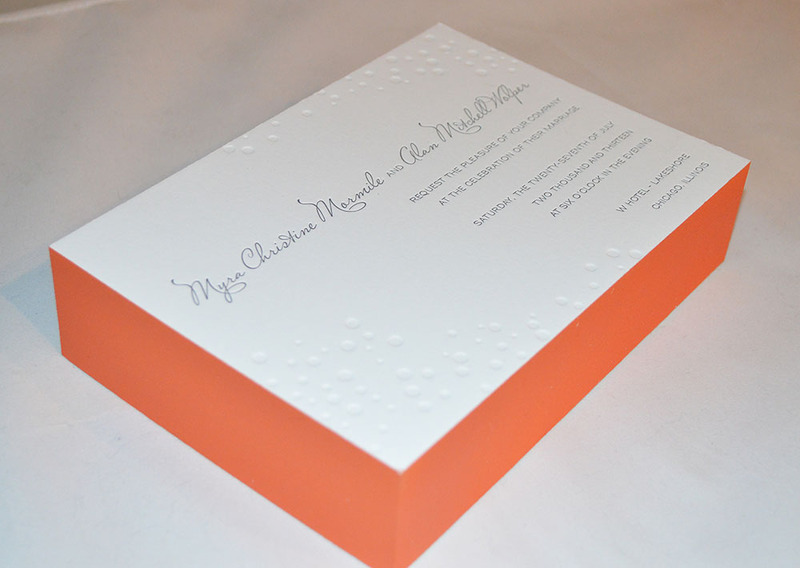 Only the tiniest of letterpress or foil stamping bleed content can be used with edge colored pieces. The larger the size of the bleed off element, the greater the chance that the edge coloring will seep into the cards face and back. Die cut cards cannot be edge colored. Cards that cannot be stacked perfectly flush, such as those printed with thermography, or embossed then duplexed, cannnot be edge colored. 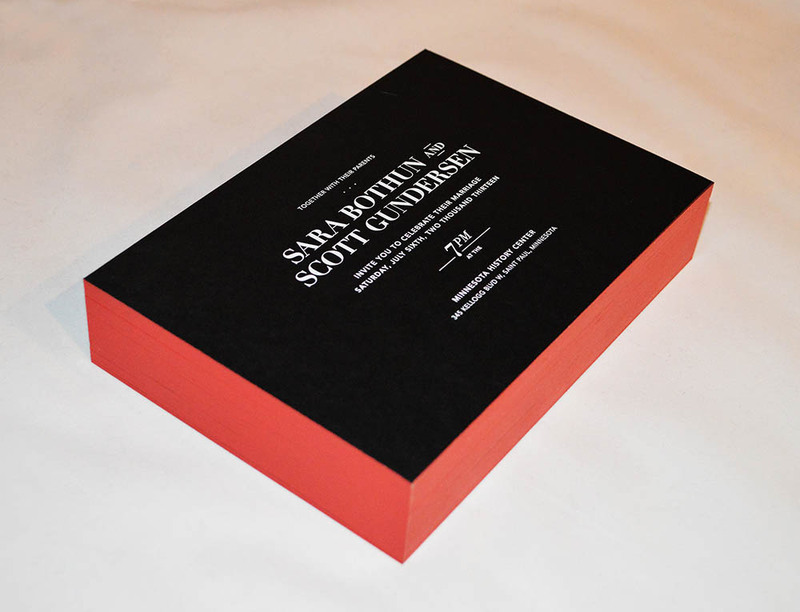 Black papers edge color the best, when using a metallic color. We edge color for many other printing firms. 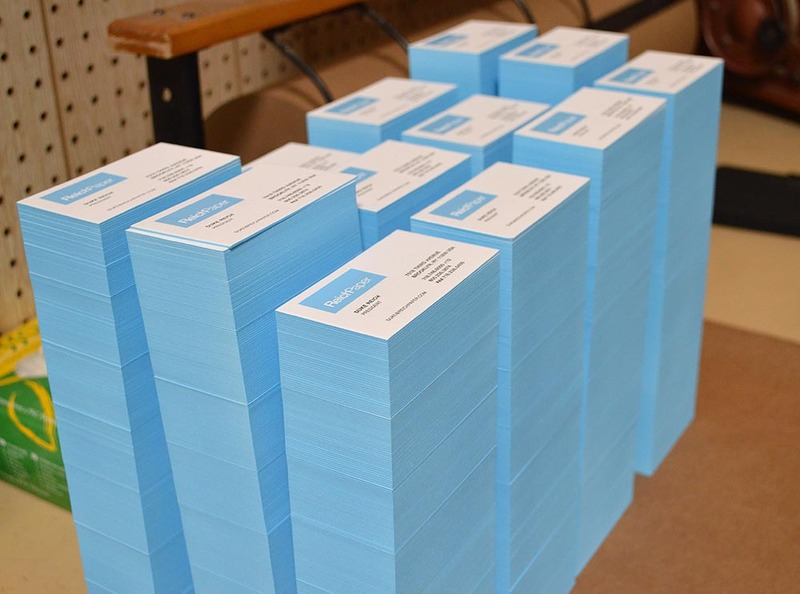 For other printers wanting to use this service; coated papers do not work; please do not trim the cards, a very fresh cutter blade with exceptionally precise trimming is needed; chop cuts between positions is not acceptable, a 1/4" retrim between card positions is needed. 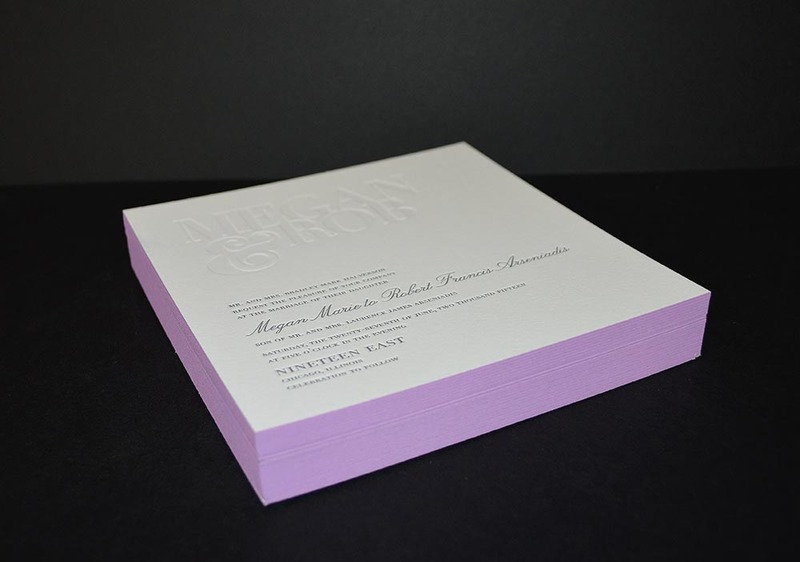 The most frequently produced items are: edge colored wedding invitations, edge colored business cards, edge colored note cards, and edge colored invitations.